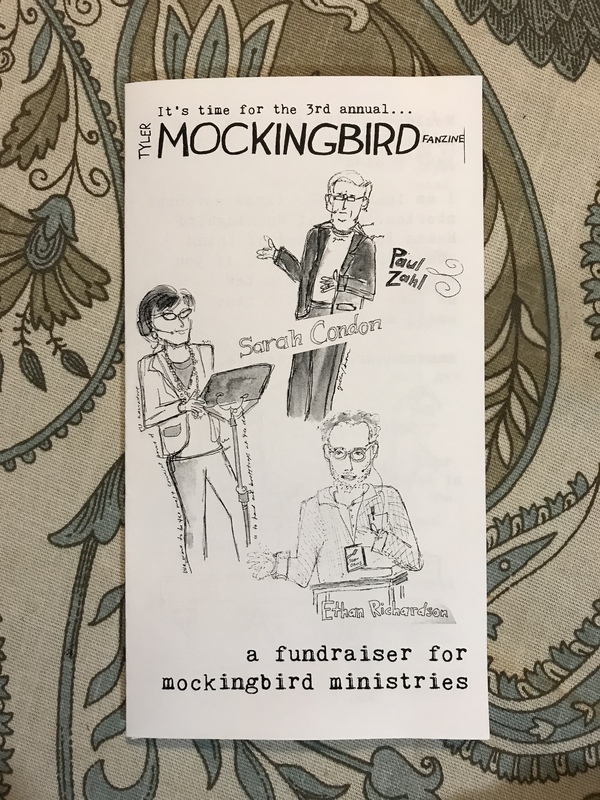 For the past few years, I have been taking my journal, and drawing the speakers at the Mockingbird Conference in Tyler. 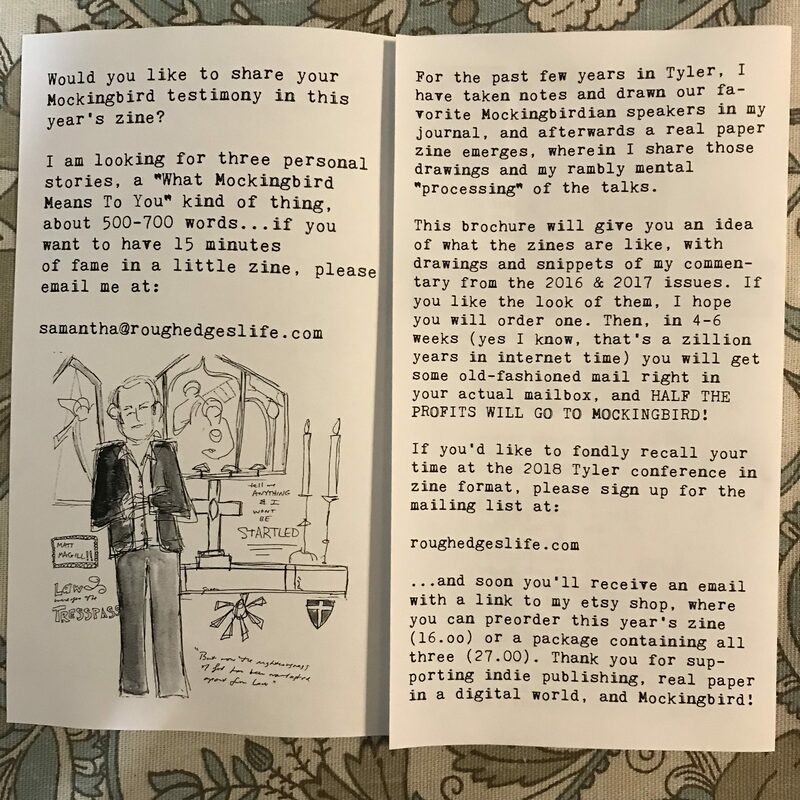 Afterwards I take those drawings and my rambly commentary and make a real paper zine, which I sell and then donate half the profits to Mockingbird Ministries. There is a youtube video about this project here. 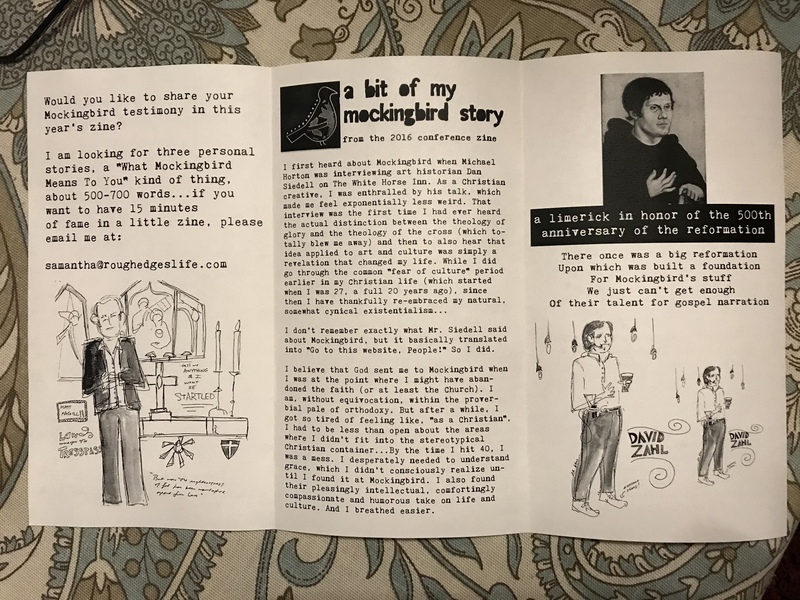 This is the first year I am preselling these zines, and I hope you will preorder one so I have more money to give to Mockingbird, so they can keep on preaching grace to us in their unique and wonderful way. The actual presale will go up next week, in my etsy shop, and if you are interested, please sign up for my mailing list at the bottom of this post, or go here and sign up. 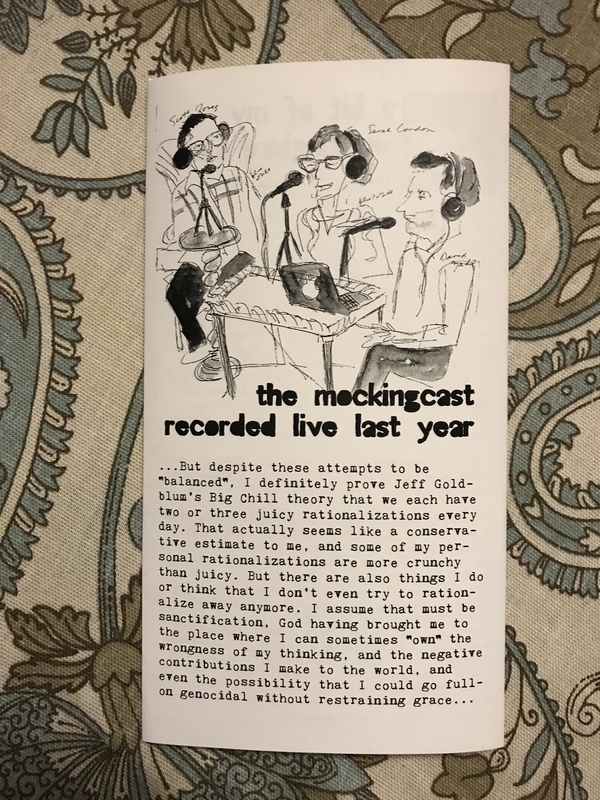 Next week I will send out a link to preorder the new zine for 16.00 including shipping, or a pack of all three years for 27.00 including shipping.